Can we do that whole breakfast for dinner thing again? Because honestly, I could eat these eggs every single night of the week. I know I say this all the time, but I typically make sweet breakfast for actual breakfast or even more often for lunch. And I save the savory breakfasts for dinner. I don’t why, but it’s just what I do. Whether you make these Huevos Rancheros Scrambled Eggs for breakfast, lunch, or dinner, I promise…they will be good! 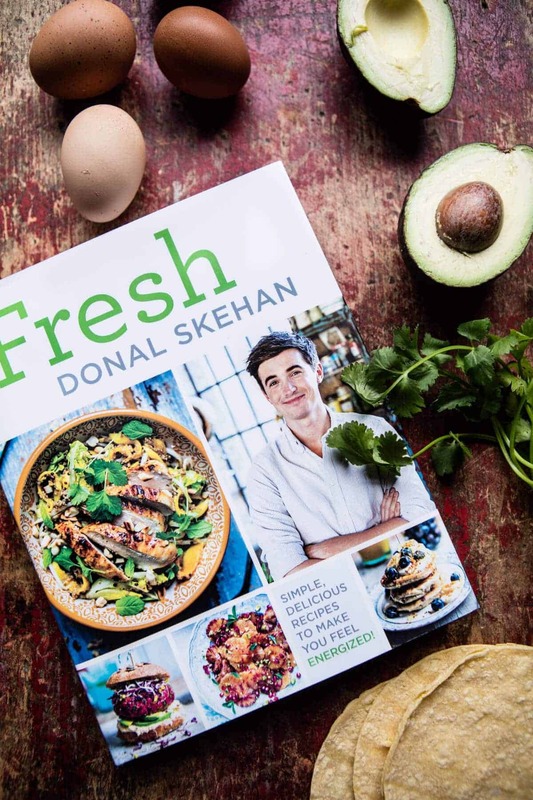 This recipe comes from the amazing Donal Skehan and his new cookbook Fresh: Simple, Delicious Recipes to Make You Feel Energized! If you’re not familiar with Donal, he’s an Irish cook who is literally making his way around the world and cooking up a storm while doing so (you might recognize Donal from Food Network Star Kids). 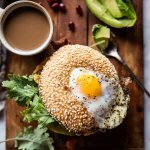 He just released his first US cookbook, and guys it’s jam-packed with some truly delicious and healthy recipes. 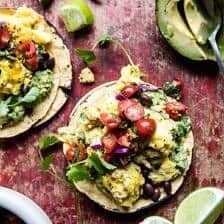 With the weekend just around the corner, I figured it was high time I share his recipe for huevos rancheros scrambled eggs. Which is probably why I procrastinated in writing this post a good twenty minutes by watching Ellen DeGeneres scare Selena Gomez multiple times on her show. I receive daily emails via PopSugar, but rarely do I ever actually read what’s in them. But for some reason this clip of Selena Gomez caught my eye and it was basically down the never-ending rabbit hole from there. They’re really not even that funny, and I just found out it these happened over the last 4 years. Why PopSugar is sharing them now is beyond me, but I think I just needed a mindless distraction for a few minutes, so it was perfect. pss. Now I really want to be on the Ellen show. Ok and now that I just procrastinated some more (it was fun though, right? ), let’s talk about these huevos rancheros. I’ve only ever had huevos rancheros at a restaurant, and trust me, they do not even compare to this simple recipe. What I also love about this recipe is that it truly allows the Mexican flavors shine. It’s not loaded with grease and a mass amount of refried beans, but instead kept light and fresh. This recipe consists of three very simple, yet very important ingredients: fresh eggs, good guacamole and an effortless tomato salsa. <–aka all you need for a really delicious recipe in my book! 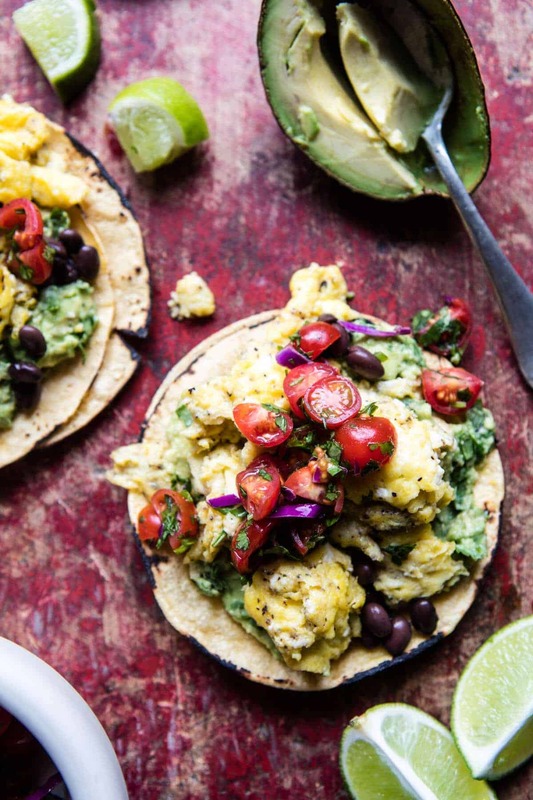 The eggs are simply scrambled with a little salt and fresh pepper and served over a batch of homemade guacamole, corn tortillas and topped with a simple cherry tomato salsa. I added a sprinkle of black beans since I already had some cooked up and sitting in the fridge. I also added just a little cheese because that’s just me, I add cheese to just about any and everything. And done…simple as that, yet seriously one of the most delish Mexican huevos rancheros I’ve had. I love how light these are, yet still so flavorful. 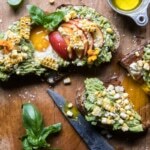 My thinking is that this will make the ultimate weekend brunch…or if you’re like me, a quick Thursday night dinner with maybe an extra side of guacamole…because I mean, it’s clearly the right thing to do. 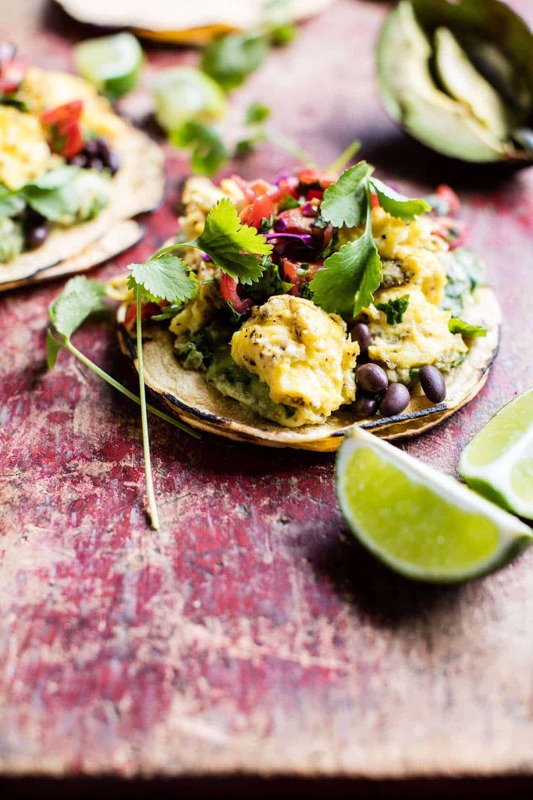 If you’re in the need of some “Fresh” recipes, be sure to check out Donal’s new cookbook…and then be sure to make his recipe for Huevos Rancheros!! Recipe reprinted with permission from Fresh by Donal Skehan. 1. Prepare the tomato salsa by combining all the ingredients together in a bowl. Season with sea salt to taste. Set aside at room temperature until needed. 2. Heat a small non-stick pan over medium-high heat and add the eggs. Lower the heat and scramble the eggs slowly until you have a thick but loosely scrambled egg mixture. Remove from the heat immediately and season with sea salt and ground black pepper. 3. 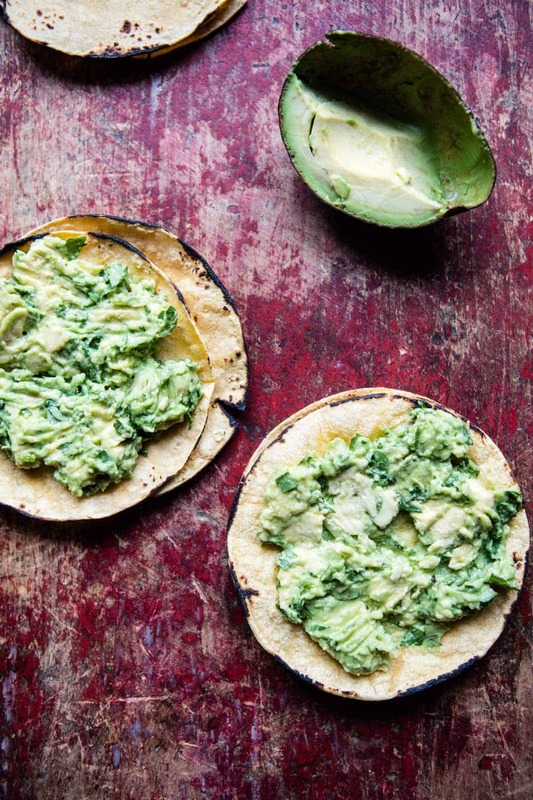 To serve, smear each corn tortilla with a heaping tablespoon of guacamole. Spoon in the scrambled eggs, then scatter the tomato salsa on top. Garnish with cilantro sprigs and lime wedges. Tomorrow we’ll be talking Friday things…and chocolate. YESSSS! Do I see dark beans on the plate also? Delicious and in a very different way to eat the Rancheros. The touch of the cherry tomatoes gives a fresh look to the dish. Thanks Carlos the cherry tomatoes are always my favorite! I love your recipes, but this one seems to be missing a few steps. What are you scrambling the eggs in? Butter or oil? There are black beans in the picture? I do love huevos rancheros! Hey Heather1 Yes, there are black beans, so sorry about that. recipe has been updated. You can scramble the eggs in butter or oil OR use a no-stick pan. I love using olive. 🙂 Let me know if you have questions. Hope you love this! I’m all in favor of breakfast for dinner, trust me. Even more because breakfast for me can only consist of a latte and a slice of bread with butter!! So perfect when you never get to have breakfast anyway! It could be my favorite meal! I’m glad that this is a US book, as this is very similar to the California Scrambled Eggs in my upcoming book! 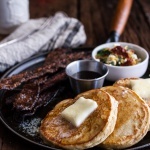 It’s been a long week and this might just have to be a breakfast for dinner kind of night. This recipe looks like a delicious one. Perfect for long weeks!! Hope you love it! So sorry! It is 1 1/2 cups cherry tomatoes. Let me know if you have other questions. Hope you love this! this sounds delicious! i’ve never tried any of donal’s recipes, though i’m not sure why; i’ve been watching his youtube channel for at least a couple of years. They are entertaining videos! You should try some! Hope you love them Sarah! I love Donal’s recipes. And I love everything about this recipe and this post. Guilty of much rabbit hole distraction myself! Sounds like your week was jam packed and maybe even a bit of a brutal schedule! Good to know Popsugar and Ellen are always there when we need the distraction! Love her! Haha! Wouldn’t that be so cool! I wish! Absolutely looks wonderful. Thanks for posting! 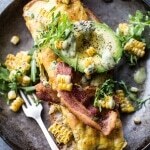 Breakfast for dinner sounds just perfect to me – I need this!! Yes!! Hope you got to have it for dinner tonight! The colours look so vibrant! Donal Skehan is a cutie pie and I love that he makes fresh healthy recipes. And when I saw the easy cook times, I am in! 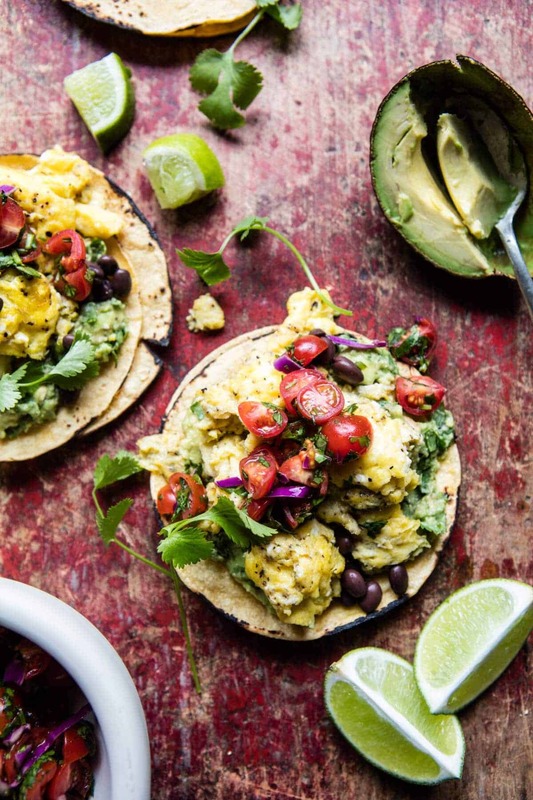 Avocado, green chiles, and eggs – Yeah, this is a winner! Glad you are feeling better – and sometimes you just have to go Selena, ya know? Ah right!? So awesome! Thank you! And totally agree full Selena ahah. Looks great – for breakfast, lunch or dinner. This is how I want to start every morning!! You got this (: Thanks Megan! Hi Tieghan, ive never cooked black beans before but seeing this receipe i want to.! Cna you point me in the right direction on how to cook them.? Thanks!! Hi Tieghan, this might sound like a silly question, but how do you prefer to eat these? Pick up and eat like a giant taco or with fork and knife? haha! Not silly! I normally just eat like a taco…unless I over stuff and then it is fork an knife! lol. Let me know if you have questions. Hope you love these!! Oh my gosh, T, oh my gosh they are SO GOOD. 😍 I had to use flour tortillas because the huge grocery store I went to inexplicably had no corn tortillas, and I added a bit of feta on top at the end with the salsa, and on one if them I tried a drizzle of a cilantro tzatziki I had made a previous evening and just….guh. So so good, I can hardly wait to make them for others. I am SO glad you loved this recipe Kate!! Thank you! I hope your friends love it as well when you make it for them! Do you know how many calories these are in total? Im sorry, but I do not. I don’t calculate the calories or nutritional information for my recipes. I find it easy to type the ingredients into an online food calculator and you could get a good estimate of the nutritional info! So glad it was a hit! Thank you! Yes! A new favourite for Lazy Sunday Lunch!